A string of battery operated white LED lights illuminates your painting. Don't miss this special holiday class! 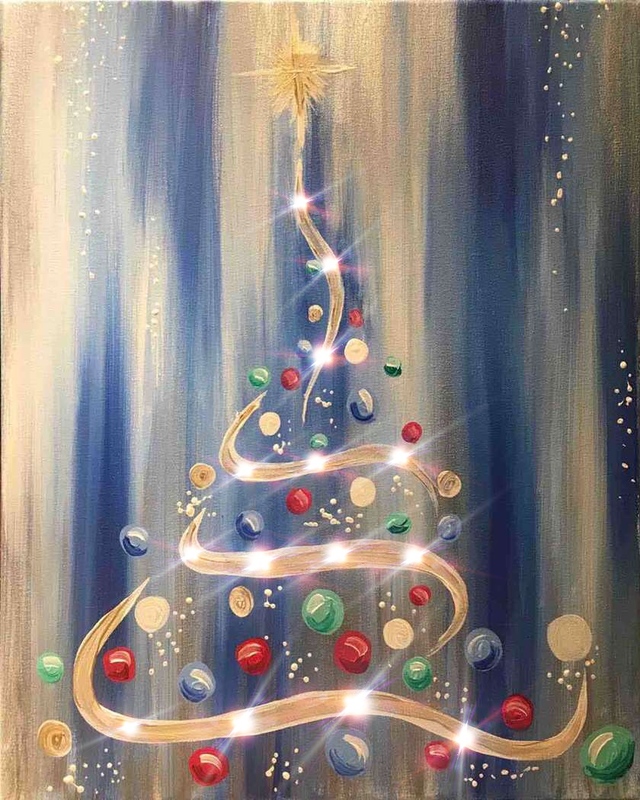 Get all your favorite people in one place to paint, drink and be merry! We've made it easy: Book 5 seats, get 1 free – good for any regular public event in December. Make your reservations today! Just use promo code VERYMERRY at checkout.